Premium certified organic BBQ STEAK - 500g (approx size) $20 per kg PLEASE NOTE: Weight is only approximate, FINAL COST will be adjusted at the time of packing. Premium certified organic BEEF BONES - 2kg / $9 per kg PLEASE NOTE: Weight is only approximate, FINAL COST will be adjusted at the time of packing. Premium certified organic DICED BEEF - 500g (approx size) $22 per kg PLEASE NOTE: Weight is only approximate, FINAL COST will be adjusted at the time of packing. Premium certified organic BEEF EYE FILLET - 400g (approx size) $52 per kg PLEASE NOTE: Weight is only approximate, FINAL COST will be adjusted at the time of packing. Premium certified organic BEEF MINCE - PALEO, GAPS, No Fillers - 500g (approx size) / $20 per kg PLEASE NOTE: Weight is only approximate FINAL COST will be adjusted at the time of packing. Premium certified organic BEEF OSSO BUCCO - 800g (approx size) $20 per kg PLEASE NOTE: Weight is only approximate, FINAL COST will be adjusted at the time of packing. Premium certified organic BEEF RIB FILLET - 400g (approx size) $46 per kg PLEASE NOTE: Weight is only approximate, FINAL COST will be adjusted at the time of packing. Premium certified organic BEEF ROAST (* BLADE * SILVERSIDE * TOPSIDE * RIB * BRISKET) - 1.2-2.2kg (approx size) $20 per kg PLEASE NOTE: Weight is only approximate, FINAL COST will be adjusted at the time of packing. Premium certified organic RUMP - 450g (approx size) $34 per kg PLEASE NOTE: Weight is only approximate, FINAL COST will be adjusted at the time of packing. Premium certified organic BEEF PALEO SAUSAGES GLUTEN FREE (no grains or fillers) - 1kg (approx size) $20 per kg PLEASE NOTE: Weight is only approximate, FINAL COST will be adjusted at the time of packing. Premium certified organic SIRLOIN - 450g (approx size) $40 per kg PLEASE NOTE: Weight is only approximate, FINAL COST will be adjusted at the time of packing. Premium certified organic BEEF STRIPS - 500g (approx size) $22 per kg PLEASE NOTE: Weight is only approximate, FINAL COST will be adjusted at the time of packing. Premium certified organic BEEF T-BONE - 500g (approx size) $34 per kg PLEASE NOTE: Weight is only approximate, FINAL COST will be adjusted at the time of packing. 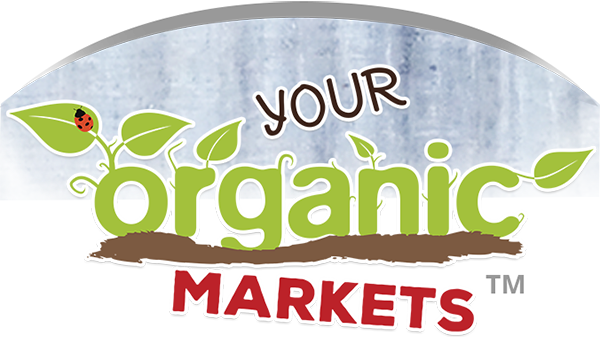 Premium certified organic Y-BONE - 500g (approx size) $20 per kg PLEASE NOTE: Weight is only approximate, FINAL COST will be adjusted at the time of packing.